This event has been bringing Mississippi wholesalers together with retail buyers since 1996. In 1996, the Existing Industry and Business (EIB) Division of the Mississippi Development Authority launched the Mississippi Market Wholesale Show, an event designed to bring Mississippi-based business owners and artisans together with retail buyers from around the region. The concept: To help budding entrepreneurs introduce their products and increase business sales for all participating vendors. The market is not open to the general public. It is strictly open to credentialed retail buyers and businesses showcasing their products. Many of the artists and businesses that made their debuts at Mississippi Market have achieved such great success, and now exhibit at larger shows in larger markets. Many attend larger shows but still return to the Mississippi Market each year. As a result, 29 percent of exhibitors are brand new to the show each year. From 1996 through 2017, one thousand and seventy-eight (1,078) businesses have exhibited in the Mississippi Market. After the 2009 show, the initial booth layout was expanded and sold out every year. Currently, we have over 200 booth spaces to accommodate exhibitors. The amount of sales written at the 2017 show was $1,418,887. Going forward, the show will be organized by Mississippi Magazine, presenters of the popular new retail show, Mercantile Mississippi, held the first weekend in May. Mississippi Magazine is proud to take the helm of this economic development vessel launched by the MDA all those years ago, and to continue their mission of connecting Magnolia State wholesalers with retail buyers. 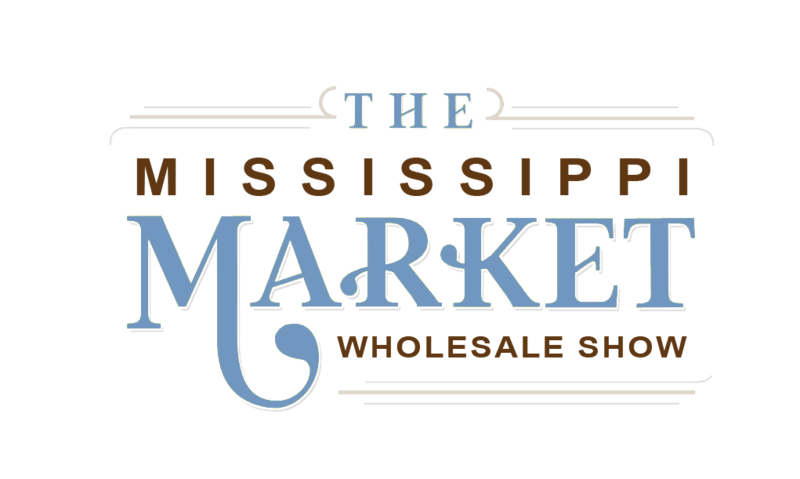 The 2019 Mississippi Market Wholesale Show is scheduled for June 6-7, 2019 at the Mississippi Trade Mart. For information on exhibiting, please contact us at 601-982-8418, ext. 72, or keep checking back with this website as it continues to develop.